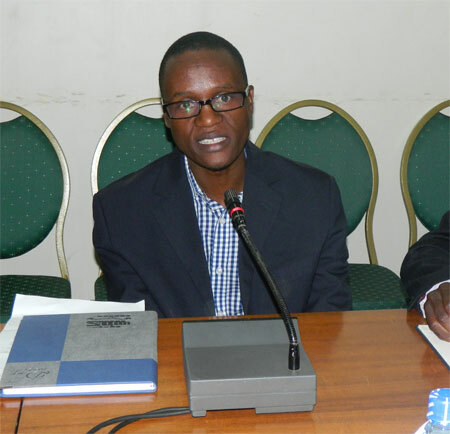 KAMPALA – Mr James Tumusiime, the youthful Managing Director of the Ugandan Weekly newspaper – The Observer has quit the position. JT, as he is commonly known in the Ugandan journalism circles on Thursday sent a staff e-mail, announcing that it was his last day in office at the newspaper, in which he was one of the founding journalists. Mr Tumusiime, was among the dozen of journalists that left the Daily Monitor newspaper in 2004, where he had cut his journalism teeth, to found the Observer with the late John Kevin Aliro, who had acrimoniously parted company with the Monitor that year, a newspaper he had helped found. JT, then stepped up from being the Editor, to become Managing Director of the newspaper, after Mr Aliro, died in 2005, a year after the newspaper hit the stands. JT’s resignation, which according to sources at the Observer newspaper was received three months ago, but officially announced yesterday, therefore, ends his 14-years of association with one of Uganda’s respected newspapers. It is understood the Mr. Pius Muteekani Katunzi, currently the Business Development Director will take over as the new Managing Director. Mr Tumusiime, who is understood to have started his PhD studies in the UK will be joining the academia and other interests.